Please select an option 3mm .50cttw 4mm .75cttw 5mm 1.50cttw 6mm 2cttw 7mm 2.50cttw 8mm 4cttw Please select a Size. 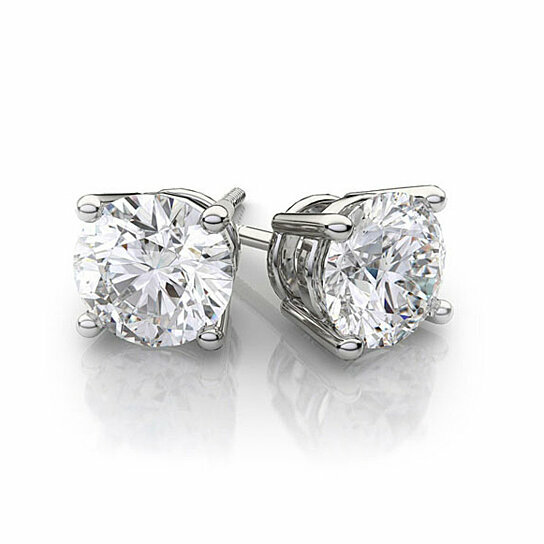 Accent any look with these classic, crystal studs. These elegant earrings feature Swarovski elements and are available in multiple sizes, so you can choose the perfect pair for any occasion.